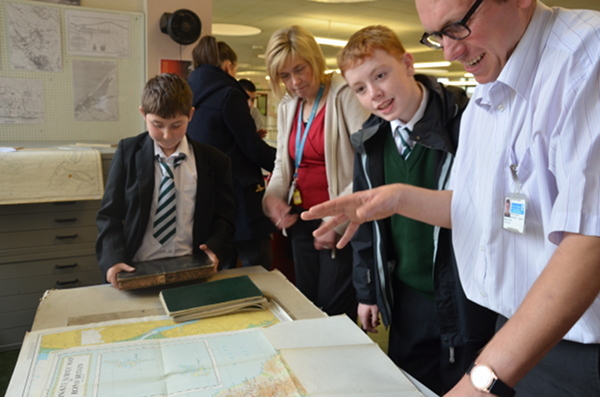 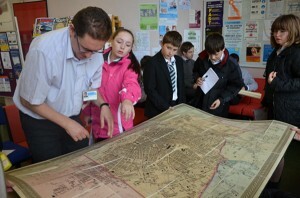 Through the project we have been working with a group of students from Crosby High school to help create a Cinema Heritage Trail Map. 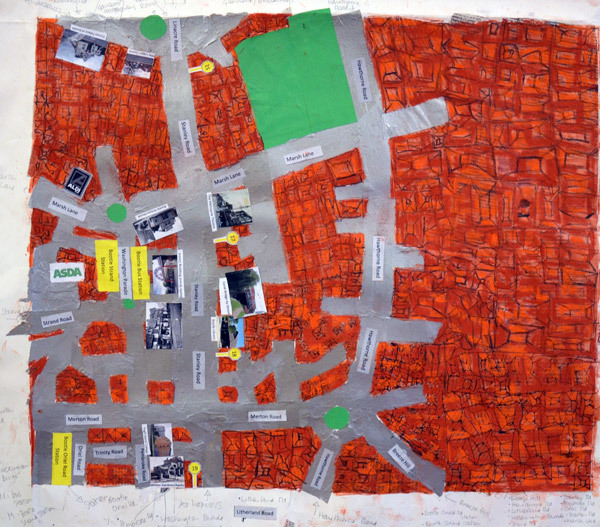 The map depicts the old sites where Picture Houses once stood in the community, placed within landmarks from a modern day context. 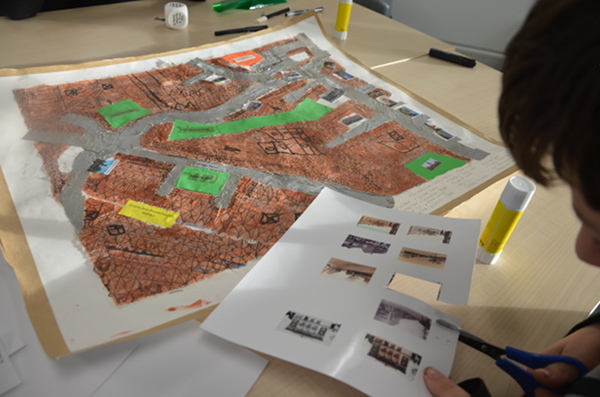 The students visited the sites of the old picture houses and looked at archive photographs of what the cinemas once looked like and photograped what is in their place today. They also went to Sefton Records Office where they looked at old maps of the area. 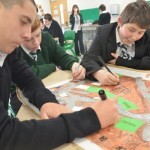 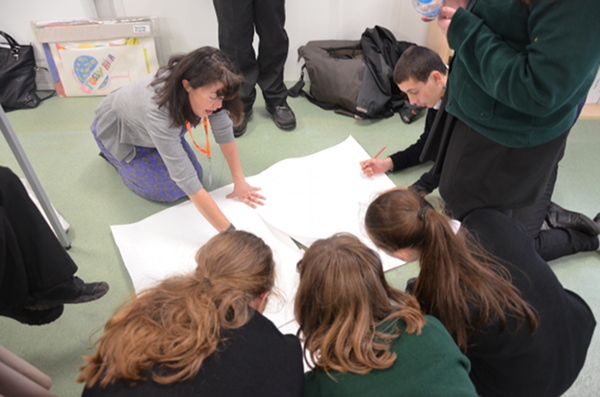 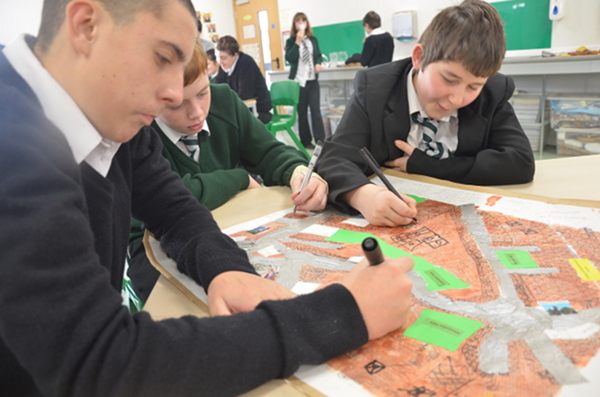 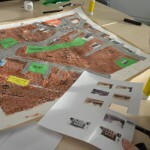 Working with artist Christine Physick and Heritage Officer Christina Condron, the students helped to develop ideas to create a large scale art work. 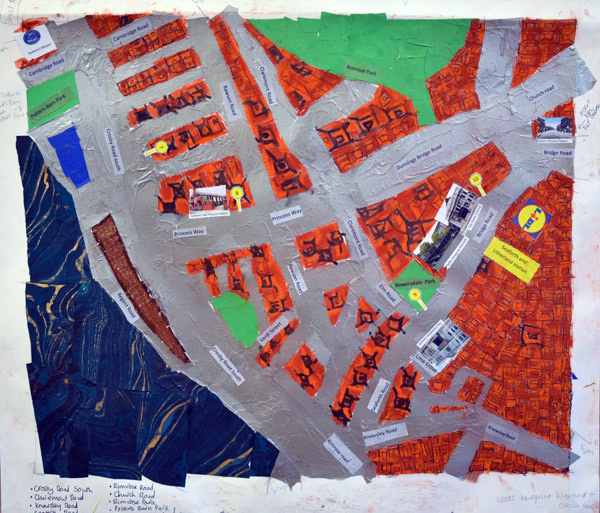 The end result can be seen on display at the Plaza Community Cinema and shows the 21 sites where pictures houses have been within the community on a modern day art map. 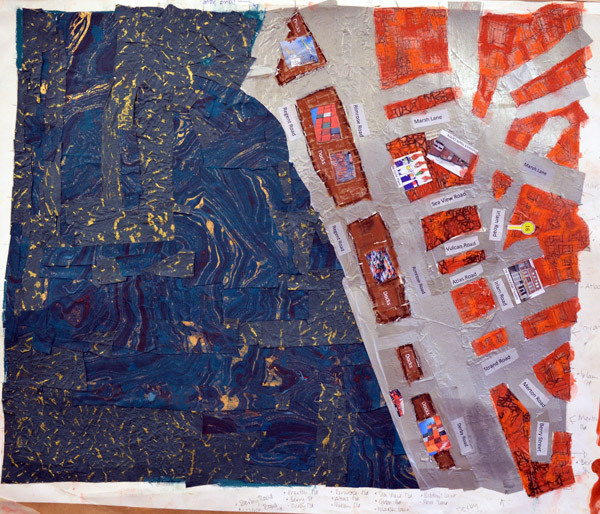 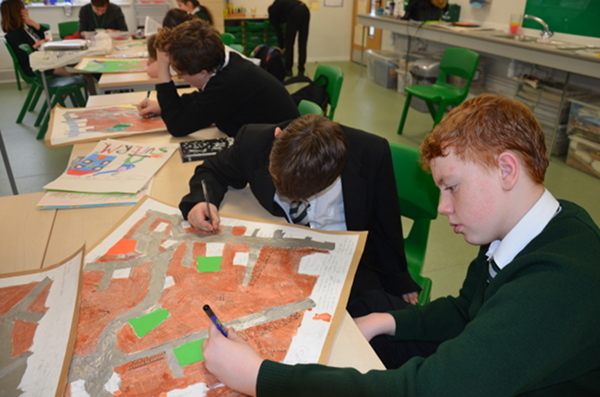 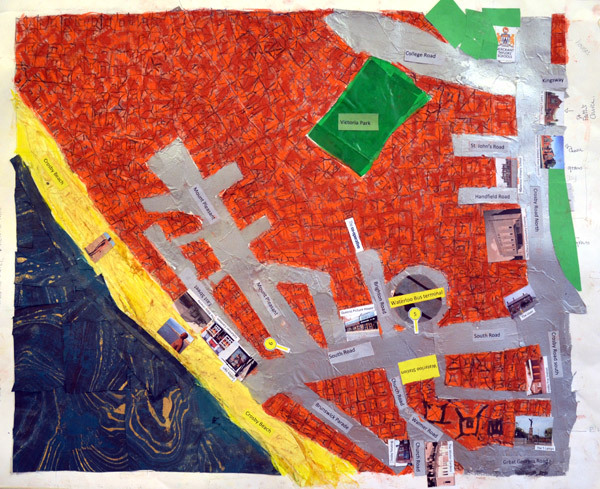 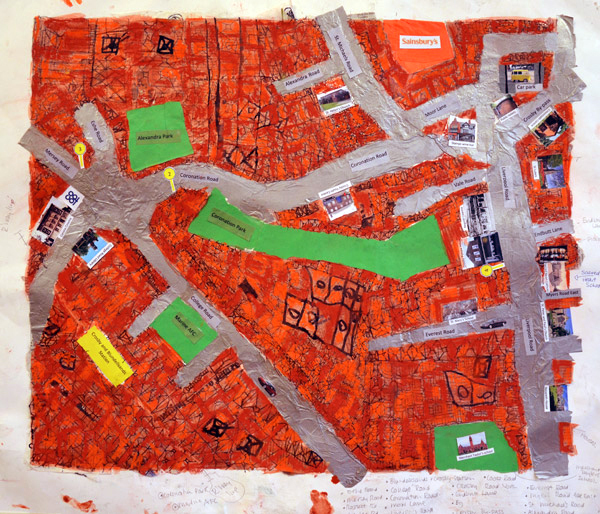 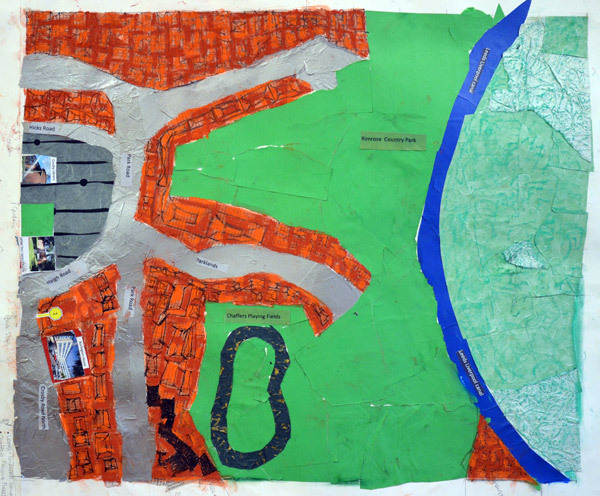 Using mixed media materials including photography, digital images, drawing and paint the students have produced a huge 7′ x 6′ group piece of art which can be downloaded through this website and used to go on the Going to the Pictures Cinema Heritage Trail. 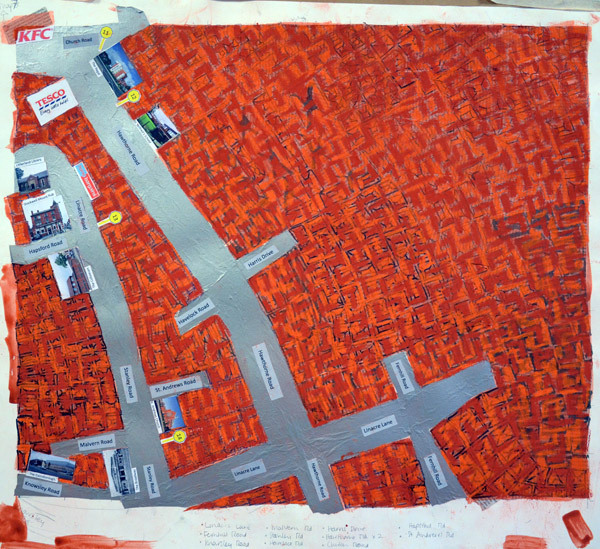 The route can be accessed by foot, car and public transport and is approximately a 3 mile radius from the Plaza Community Cinema.